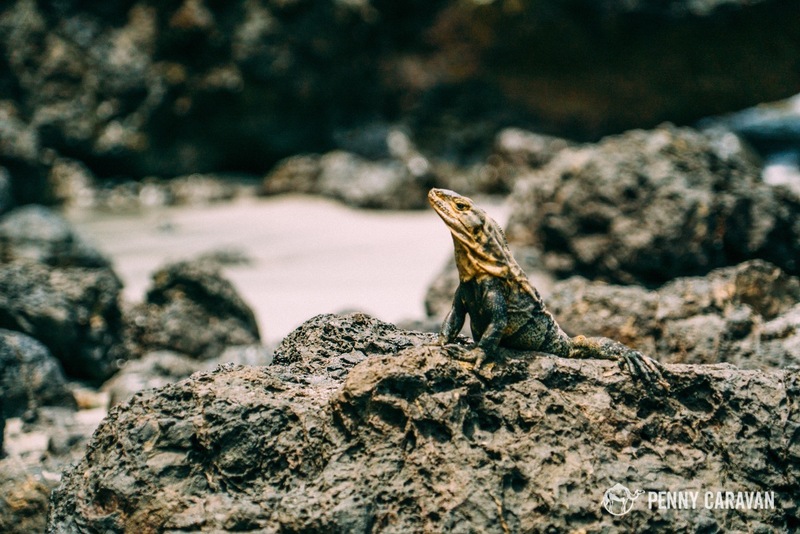 For nature lovers, Costa Rica is a premier destination. 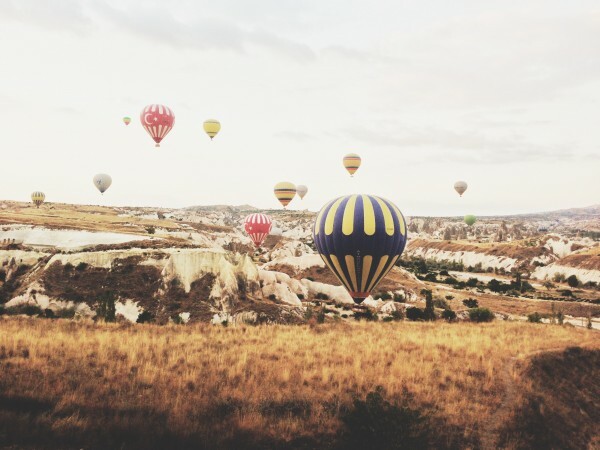 The country boasts one of the most diverse ecosystems in the world with more than a quarter of its landmass reserved as protected areas. 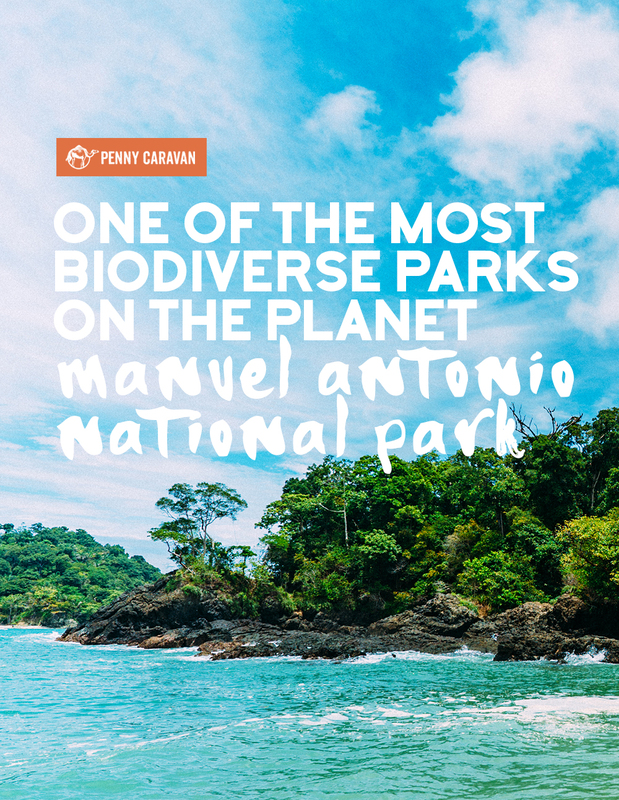 Visitors have ample options for getting close to nature, with one of the most well-regarded being Manuel Antonio National Park, located in the southwestern corner of the country on the Pacific coast. 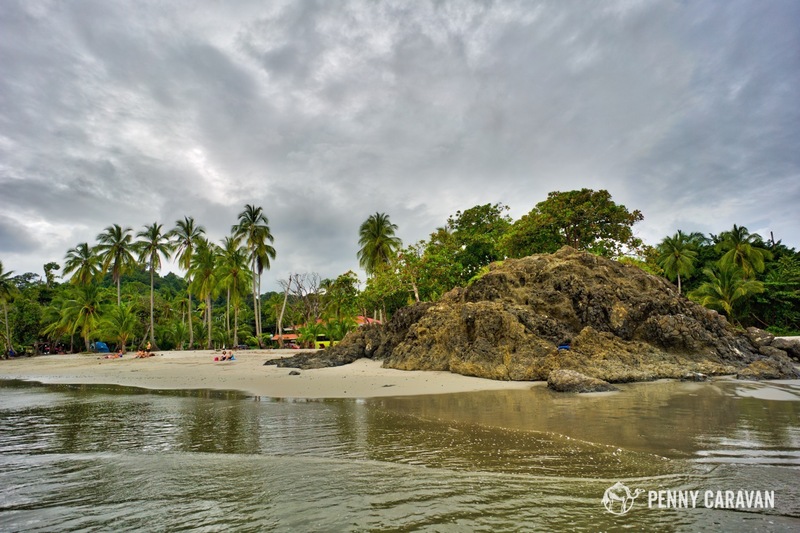 Manuel Antonio National Park is located on the Pacific Coast in the central part of Costa Rica, adjacent to the small town of Quepos. From San Jose, it’s a three hour drive. 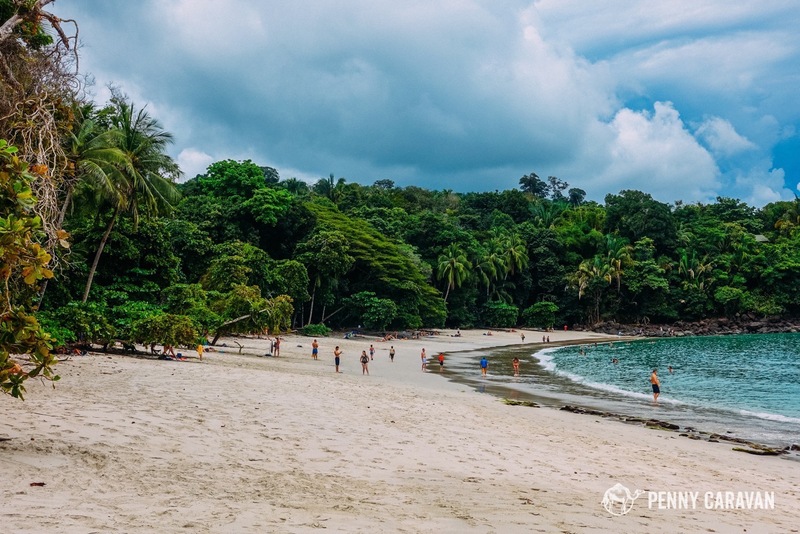 For the most part, the road follows the coast line, and is wide with not too many twists and turns, in contrast with the roads in Costa Rica’s central area. If you’re traveling via public transportation, buses run regularly from San Jose and cost less than $10 per ticket. With stops the trip will take 4-5 hours and will end in Quepos, where most passengers will disembark. From there you can take a taxi to the park or your hotel, although some busses will continue toward the park and stop on demand. The park has lots of trails. Tickets cost $16 per person and can be purchased at a kiosk near the entrance. Park hours are from 8am to 4pm. At the entrance many guides both official and unofficial will solicit you for tours. 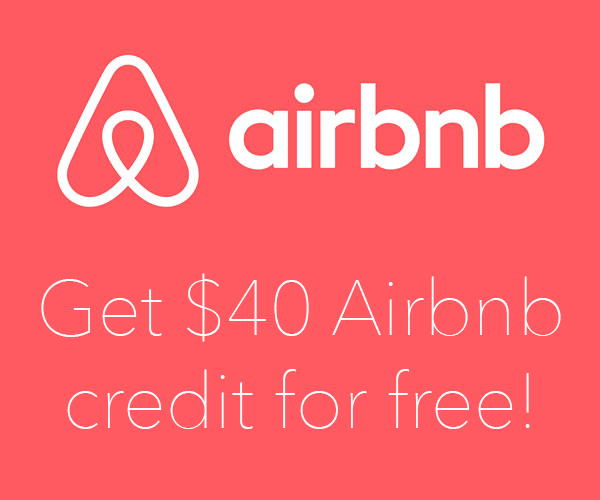 The cost varies but can be $20-$40 per person depending on the size of the group. They’ll carry a spotting scope and will point out animals hiding in the trees that you might miss otherwise. 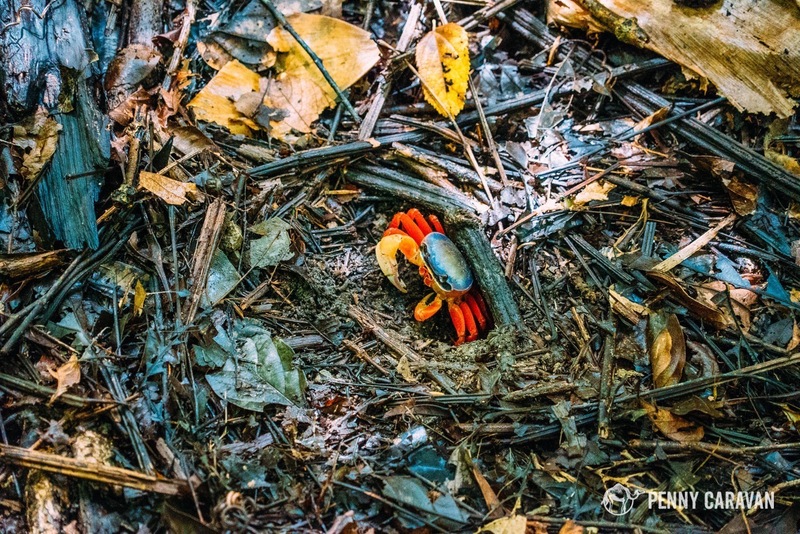 Whether or not you opt for a guide depends on how much you value seeing the diverse wildlife. 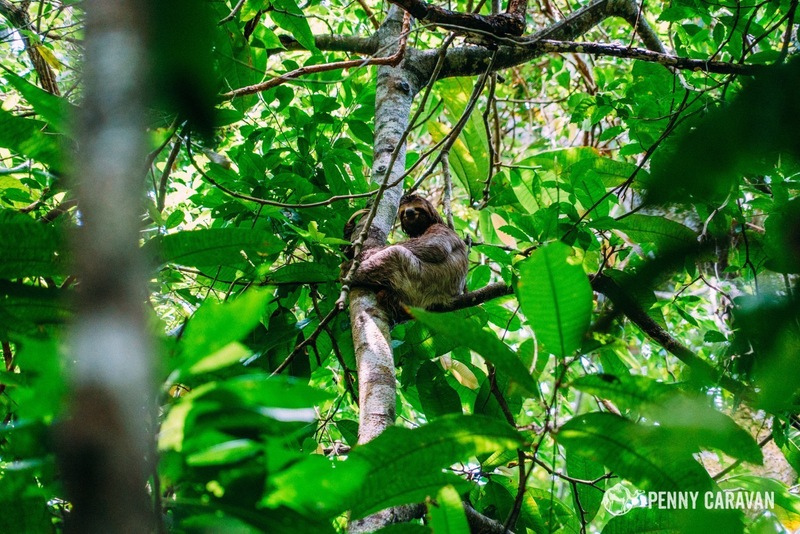 We decided against a guide and spotted multiples sloths and dozens of monkeys including the elusive spider monkey, along with numerous iguanas, crabs, and birds. 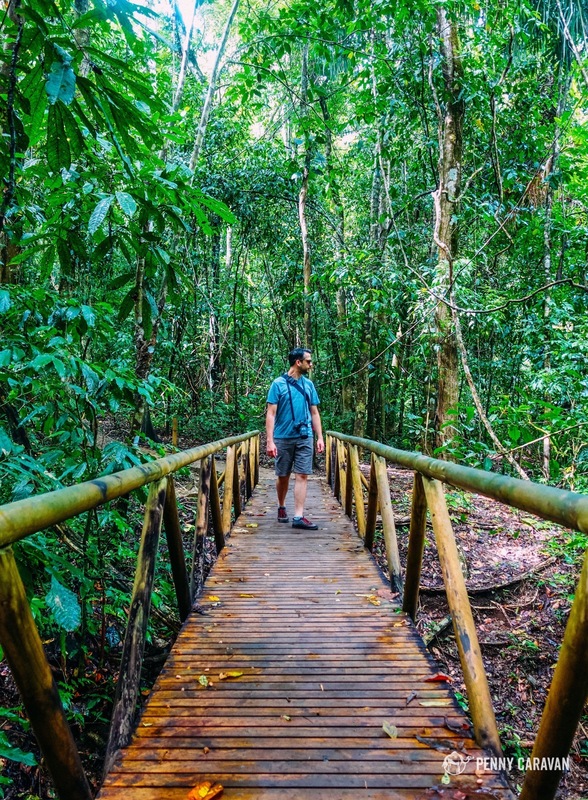 Manuel Antonio National Park is very easy to navigate thanks to its wide, well-maintained trails. You’ll get a map at the entrance with highlights marked which will help you plot your course. 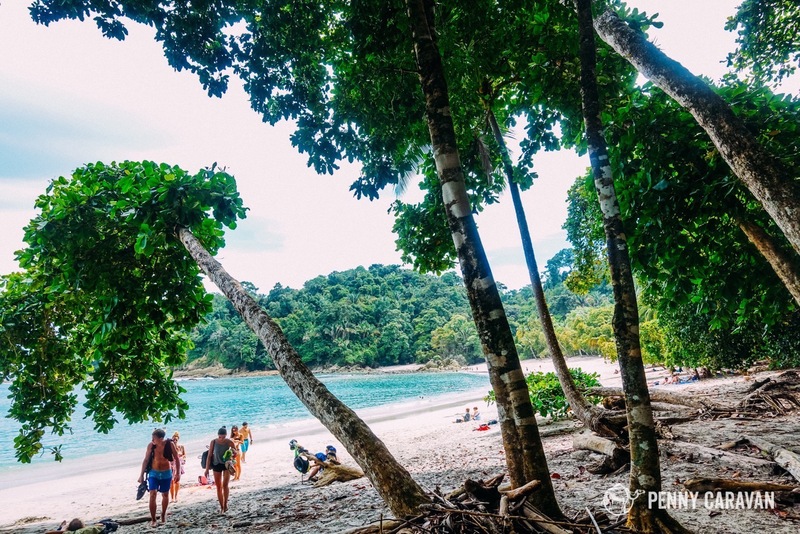 Following the main route will take you to Playa Manuel Antonio, a beautiful white sand beach. 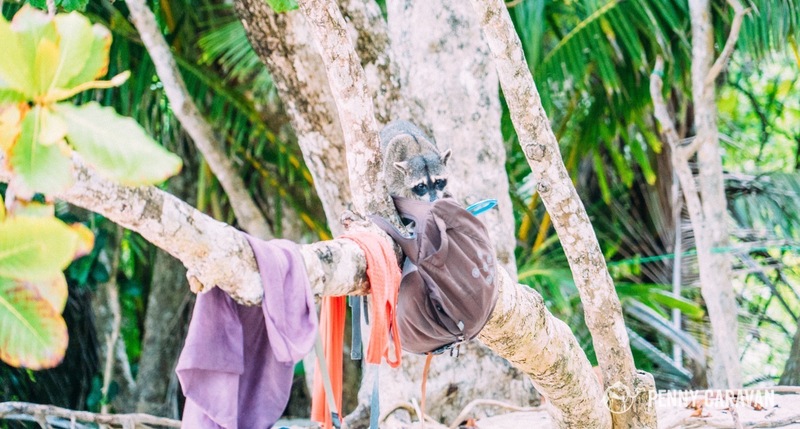 Be sure to pack your swimsuit and towel, but be mindful of the numerous raccoons around who brazenly shuffle through guests bags for their snacks. 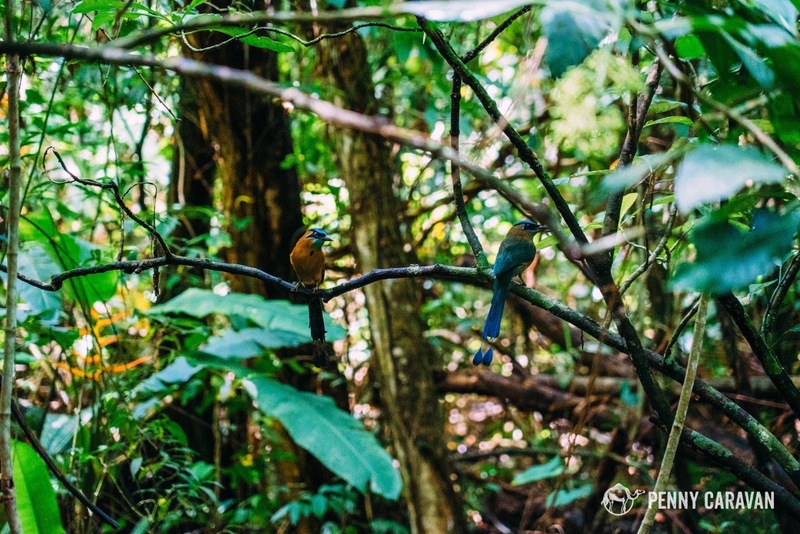 Venturing off the main path you can follow several nature trails to spot birds or sloths. 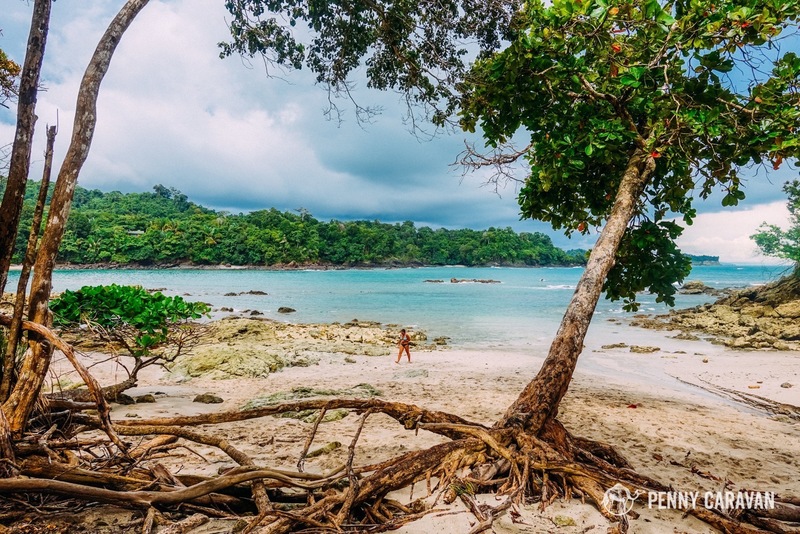 Some trails also lead to smaller, more intimate beaches than Playa Manuel Antonio. Despite the small size of the park, there are plenty of options for avoiding crowds if you so desire. 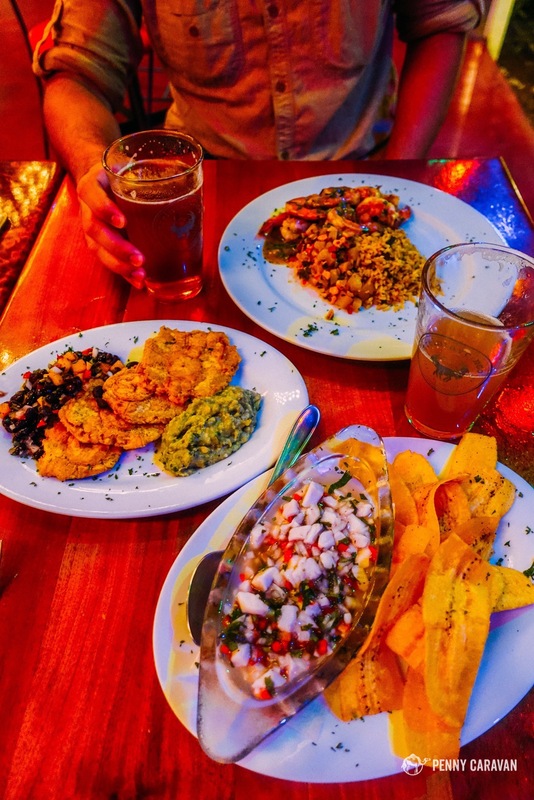 The road between Quepos and Manuel Antonio National Park has developed into a town featuring numerous restaurants and hotels, giving visitors ample options when they are in the area. 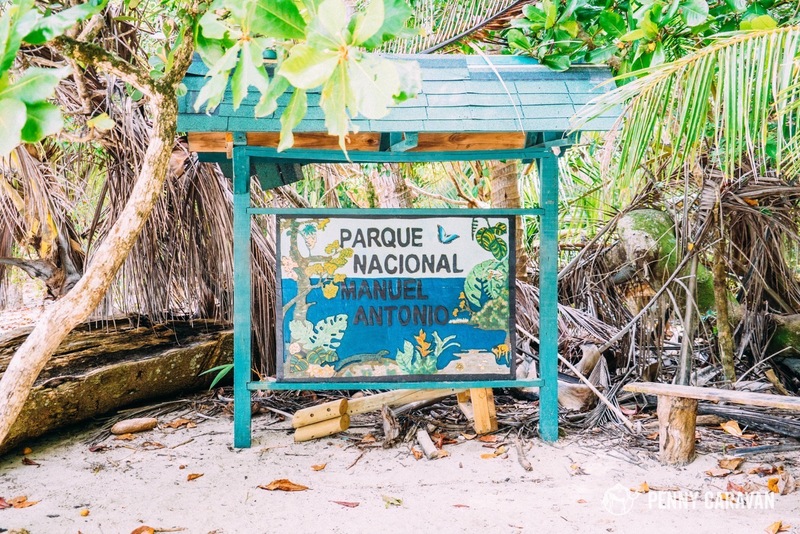 After crawling through the park all day, you can enjoy walking down the the public beach Playa Espadilla Norte to watch dramatic sunset over the Pacific Ocean. The kitschy El Avíon restaurant offers a fun ambience built around an old American military plane involved in the Iran Contra Scandal. For exceptional coffee, check out and enjoy your morning brew with breathtaking vistas of the Pacific at Emilio’s Cafe. The best meal we had on the entire trip came from Cafe Milagro which serves unique twists on traditional dishes, often featuring fresh seafood (tip: the ceviche was incredible). Hotels and hostels exist for every budget, but if you’re looking for maximum convenience, check out our review of Hotel San Bada which was directly adjacent to the park entrance. 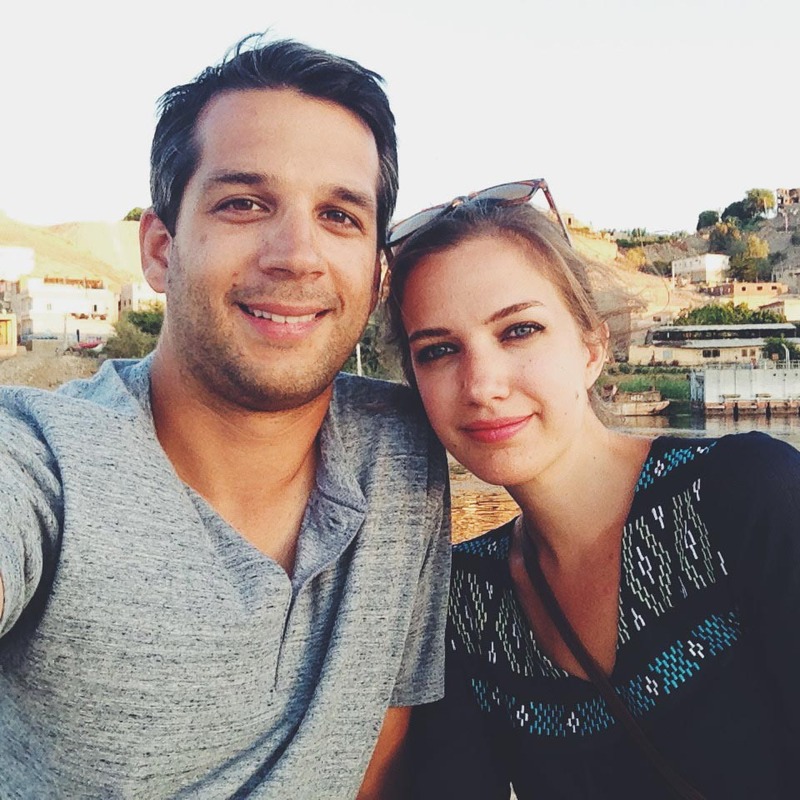 Best meal of our entire trip at Cafe Milagro! 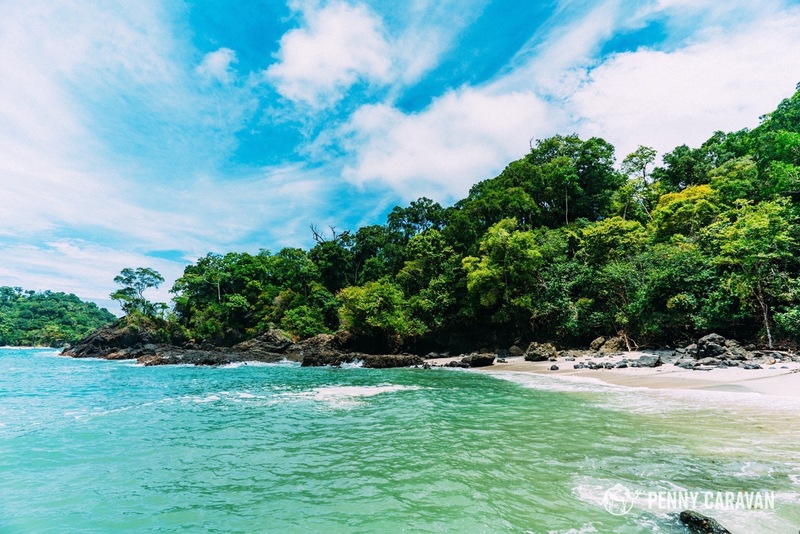 Manuel Antonio National Park is a beautiful destination for travelers to get close to nature while also enjoying incredible beaches and great hospitality. 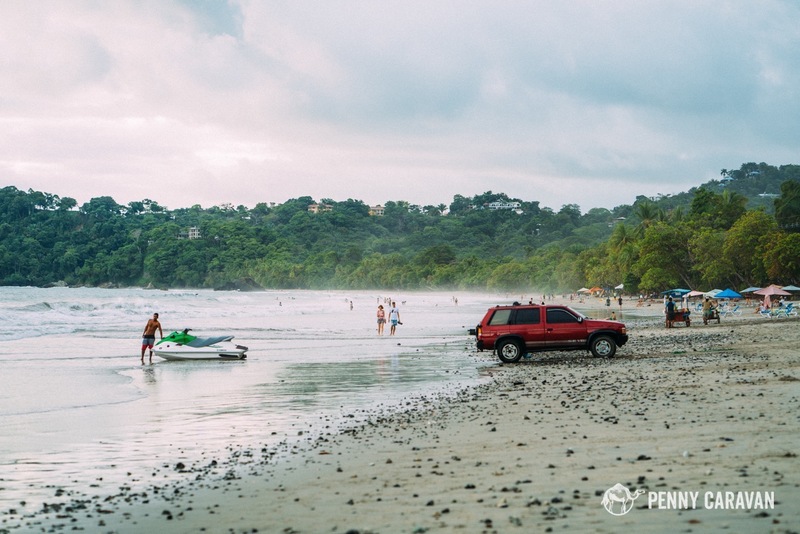 It’s a definite recommendation to add to your Costa Rica itinerary!